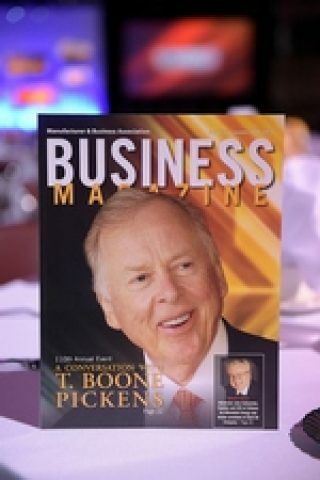 The Manufacturer & Business Association's 110th Annual Event "A Conversation With T. Boone Pickens"
The event also served to mark the completion of Mr. Hunter’s year as Chairman of the M&BA. He says, "I thoroughly enjoyed my time working with the extremely talented Board and staff of the Manufacturer & Business Association. Providing world class services to our members through the Association as well as representing their interests at both the state and national level was a tremendous experience.” Tim will continue to serve on the board. The M&BA provides services to those members including training, insurance, payroll, human resources and energy consulting. In addition, it represents the interests of members at both the local and federal government level. The association has almost 4,000 members located throughout central and western PA.